The content on your website and landing pages is one of the most important aspects of search engine optimization. Even as search engine algorithms continue to change, one rule that has remained constant in the world of search engine optimization is that "content is king" and this still holds true today. Your website content is more than just a description of the products or services you offer, it is a tool to sell your services 24/7. Good SEO content should be optimized for search engines as well as written with your target audience in mind. At Silver Scope Design, we understand the importance of SEO Copywriting. If you want excellent, SEO optimized content for your website or landing pages, then you need to contact the experts. With professional SEO copywriting from Silver Scope Design, your website will be poised to rank high in search results pages, which will result in more traffic and more potential clients for your business. Contact our web design company today to learn more about SEO copywriting services and request a free design quote. SEO copywriting is the art of using the correct keywords throughout your website while at the same time showing professionalism and depicting your business as it should be shown to your visitors. Not only do you want to get the correct message across, but it needs to be done in a way that incorporates the key terms and phrases you want to rank well for. SEO copywriting uses a concept known as proper "keyword density" to allow your website to target given keywords, while also keeping the content natural and appealing to customers. SEO copywriting uses an optimal number of target keywords in each part of your website, building the content of each page around a specific keyword or concept. 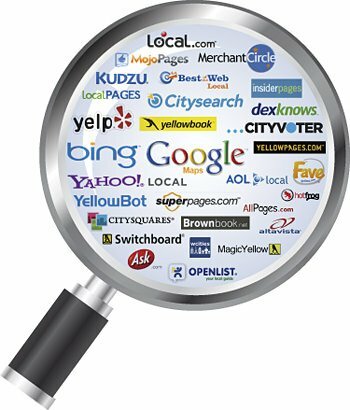 Some websites in the past would create a page "stuffed" with a certain keyword to rank high in the search engine results for that search phrase. However, this has changed over the years because Google recognized that web designers were using what was known as "keyword stuffing" and were trying to trick the Google search engine algorithms. This is no longer possible now, as Google has placed an emphasis on ensuring that its users receive a high quality experience from each page they come across. This has changed the face of SEO copywriting as providing quality content written at the optimal key word density is more important than ever. Your website content needs to be professionally written using the right number of keywords while properly positioning your product or services in a way that entices customers to buy. Do not let someone who does not know proper SEO copywriting techniques fill your website with content that can hurt your rankings. You should trust only the professionals to have excellent and original content on all of your pages and blog posts. This will help ensure your website receives the best ranking in search engine result pages, while reaching new customers and adding value to a website visitor's experience. As experienced website design and search engine optimization experts, Silver Scope Design has excellent copywriting professionals that can create interesting and well structured content for your website. Not only will our content be target to attract traffic from search engine results pages, but it will actually help promote and sell your brand, products, and services. To learn more about our SEO copywriting services and how we can help, contact our web design company online or by phone today.